From 10 a.m. to 4 p.m., there will be live music, photo booth, petting zoo, face painting, balloon twister, food vendors and gem panning. 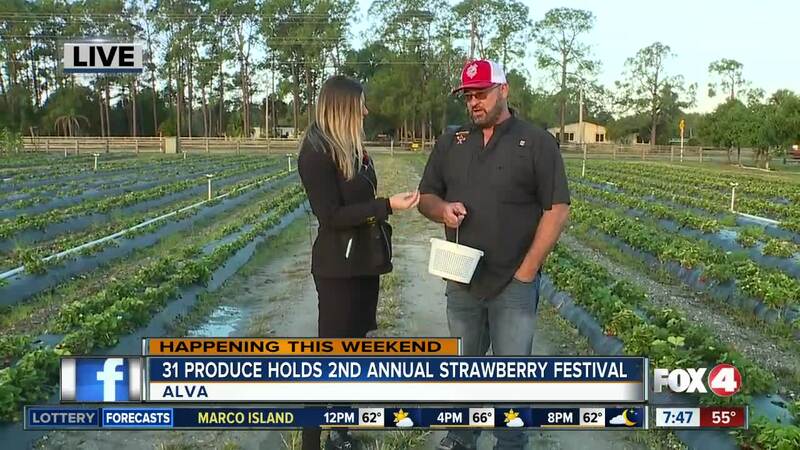 ALVA, Fla. — 31 Produce holds its second annual strawberry festival on Saturday and Sunday. From 10 a.m. to 4 p.m., there will be live music, photo booth, petting zoo, face painting, balloon twister, food vendors and gem panning. The Whispering Pines Clydesdales will also be there on Saturday from 11 to 3 p.m. and Sunday from 12 to 3 p.m. Parking is $10 and admission is free. 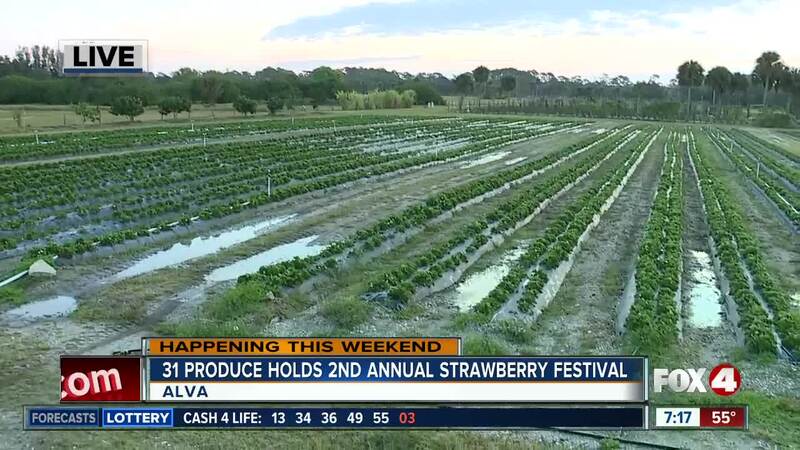 31 Produce is located at 18672 State Road 31 in Alva.